Jaguar has given its F-Type sports car an update for 2019 with changes both inside and out. First up is the new power-related badging system inherited from Jaguar Land Rover as a whole. Now. the entry-level four-cylinder model is the P300, the V6's are badged either P340 or P380, the 400 Sport has been dropped while the F-Type R and SVR remain unchanged. Modifications under the skin are minimal, but all versions now get a brake-based torque vectoring system as standard. The P380 version adds a limited-slip differential and adaptive dampers, as well. The R-Dynamic cars include new, bigger wheels, sports exhausts, LED lights and gloss black details. The SVR version is now available with a spoiler delete option, too. There are 18 new paint options and, thanks to JLR's Special Vehicle Operations division, some include a matt finish. Inside, the air vents gain new trim and a frameless rear-view mirror is also included. All the F-Types receive Jaguar's 10-inch InControl Touch Pro infotainment screen, Apple CarPlay or Android Auto connectivity remain absent although a JLR spokesperson says that both are due later in the year. 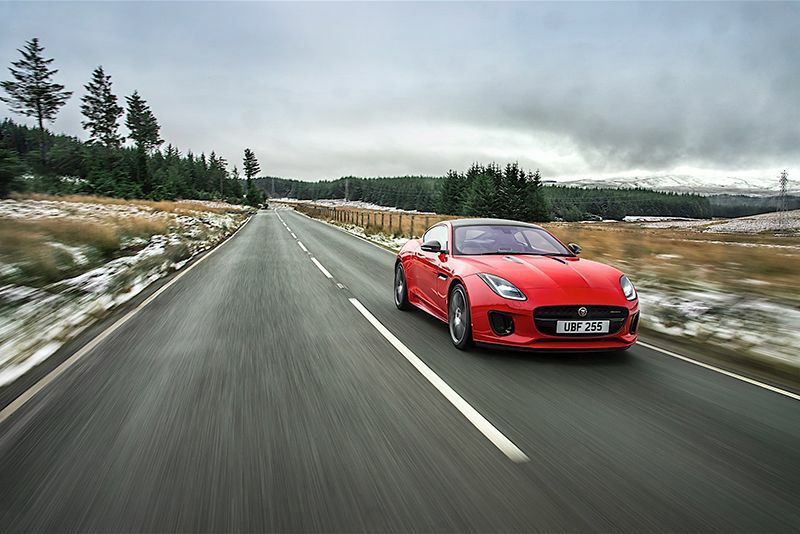 Jaguar is taking orders for all versions of the new F-Type and first deliveries are expected next month. Check out Jaguar's video below. The Next Jaguar F-type Will Be Electrified! Video: Jaguar's F-type Svr Sounds Incredible In A Tunnel!